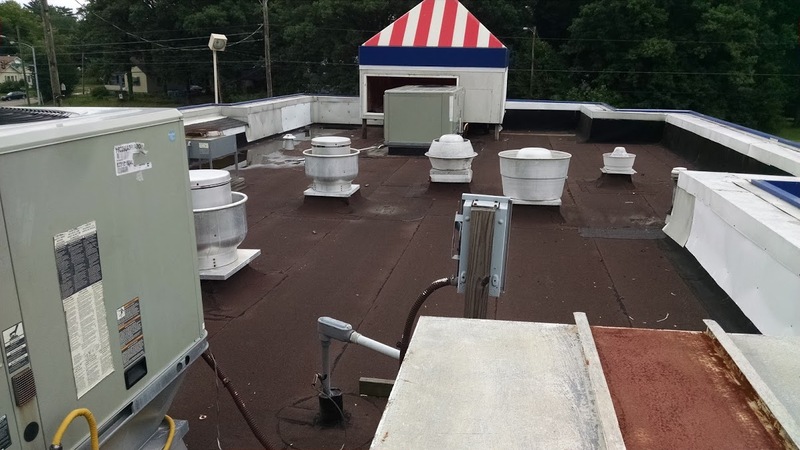 Has your building's roof sustained any extensive weather related damage? Is your building's roof old, worn out, or not up to code? If you answered yes, then you need a reliable roof repair company to handle this very important task. Damaged roofs can result in such problems as mold, structural problems, and interior damage. When you need commercial roof repair services, trust the team at Advanced Home Exteriors to get the job done. Our experienced roofing contractors are located in Richmond, VA and approach every project with precision, attention to detail and care. At Advanced Home Exteriors, our commercial roof repair services are designed to save you time, money, and aggravation. Rather than letting your roofing problem get worse, let us nip it in the bud so your building stays protected. Our rates are reasonable, and we'll never push you into roofing repairs if replacing your roof is the more long term and cost effective option.